Want to make sure that your next big corporate party is an absolute success? Then you’ll want to select exactly the right venue for the type of gathering that you envision. 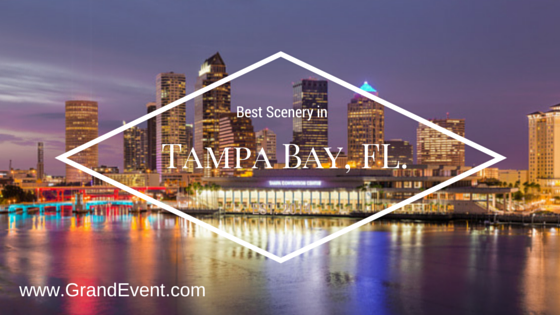 Luckily there’s no shortage of event settings in the Tampa Bay area. Whether you’re looking for a historic ballroom or modern rooftop deck or convention space on the Bay, the Tampa area offers multiple venue options that will set the stage for perfection. Located along the Hillsborough River, the new Riverwalk is adjacent to Tampa Convention Center and is in the heart of downtown Tampa. The Tampa Convention Center offers up to 200,000 square feet of flexible exhibit hall and a host of convention amenities. But the waterfront setting offers spectacular sunlight and Bay view vistas from sunrise to sunset. Riverwalk would make a picture perfect setting for dinner or a corporate outing. If you’re looking for a unique event space that will make for a dramatic but lively night setting, check out the Tampa Aquarium. Guests will be enthralled with the giant shark tank as they sip cocktails and enjoy appetizers. There is also an outdoor area to enjoy nice starry views of the channel area and Harbour Island. The aquarium consistently ranks among the best in the country and books events months in advance. Plan ahead if you have a specific date in mind. This clean, contemporary space sets a modern, sophisticated vibe for important corporate events. The museum offers a nice selection of event space including the lobby atrium and covered terrace, which overlooks Curtis Hixon Waterfront Park, the Hillsborough River and University of Tampa’s iconic minarets. In addition, the Museum of Art has private meeting rooms of varying sizes that are well-equipped with state-of-the-art A/V equipment and Wi-Fi access. Perhaps your event involves treating your best clients to a Tampa Bay Rays game for nine innings of food, baseball and entertainment. Tropicana Field has seven different levels of suite options from outfield to premium club seats, depending on how close to the action you’ll want to be. Most are loaded with amenities like flat screen TVs, kitchen areas and some even have in-suite restrooms. If your event calls for a boutique hotel that speaks to historic Ybor city, look no further than the Don Vincent de Ybor Historic Inn. Located in the heart of Ybor, developer Jack Shiver transformed the hotel into the extravagant opulent inns of old Europe. They specialize in corporate events and offer on-site catering by highly rated Chef Trish Converse. 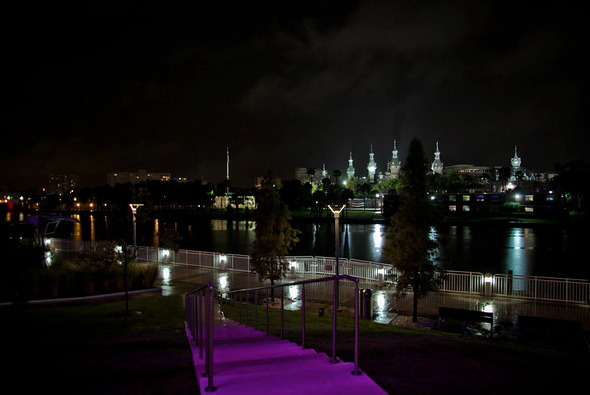 This venue boasts a rooftop terrace overlooking Tampa’s skyline, and is located in the new Waterworks Park, where you can enjoy concerts, stroll along the riverfront and watch for manatees. On the edge of the Hillsborough River, 220 West Seventh has an indoor reception and conference room that opens up to a beautiful outdoor space. The space here can accommodate up to 125 people for reception dinners and 220 people for a cocktails. Newly renovated, this landmark Tampa venue offers unparalleled views of the city. As gorgeous as the Tampa Club is inside, its meeting rooms are versatile and fully equipped with high tech amenities such as LCD projectors and screens, podiums and mics, wireless internet, TVs and more. They also offer a variety of room sizes to accommodate your private dining and event needs. 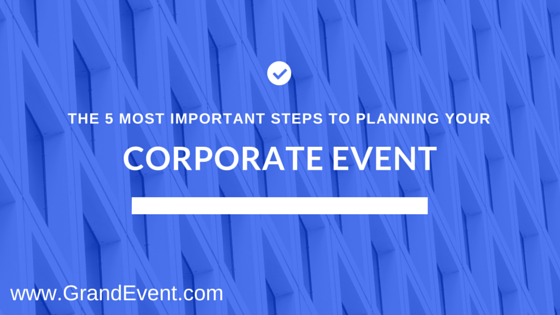 If you’re planning a corporate event, please contact us for a free consultation. 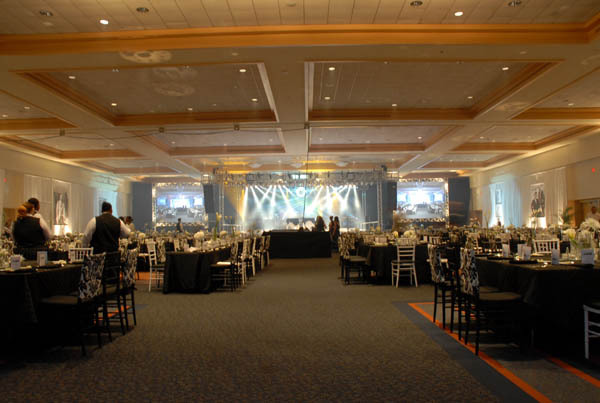 We’ll show you how to make your next company gathering a truly Grand Event.